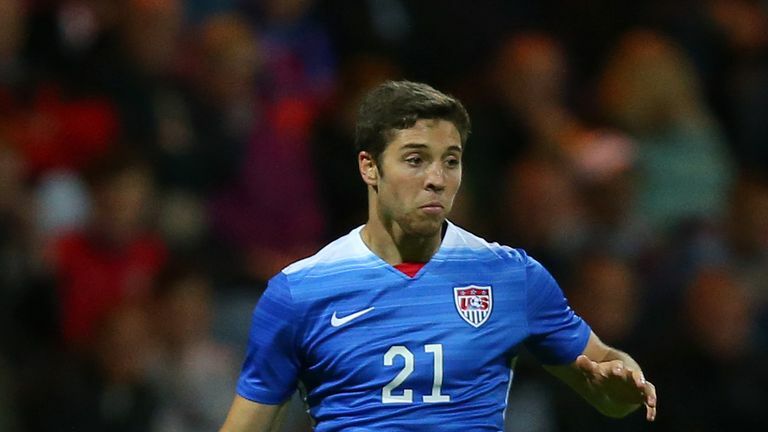 Steven Gerrard has revealed a deal to sign USA international Matt Polster could be completed soon but he has denied any interest in Wigan's Nick Powell. Polster impressed while on trial with the Ibrox club and last week Gerrard confirmed they were in talks over a "long-term deal" for the versatile 25-year-old, who can play in midfield or at right-back. Gerrard, however, rubbished reports that Rangers are chasing Powell, whose contract with Wigan expires at the end of the season, leaving him free to speak to clubs outside of England. When asked about reports of Rangers' interest, Gerrard replied: "It's the first I've heard of it." Gerrard did confirm New Zealand goalkeeper Stefan Marinovic is currently on trial with the club. "It's planned for a week at the moment," said the Rangers boss. Gerrard refused to comment when asked if he cancelled plans to watch Charlton forward Karlan Grant. Rangers registered a 3-2 friendly win over HJK Helsinki, with Jermain Defoe and Steven Davis both starting before being replaced at half-time.